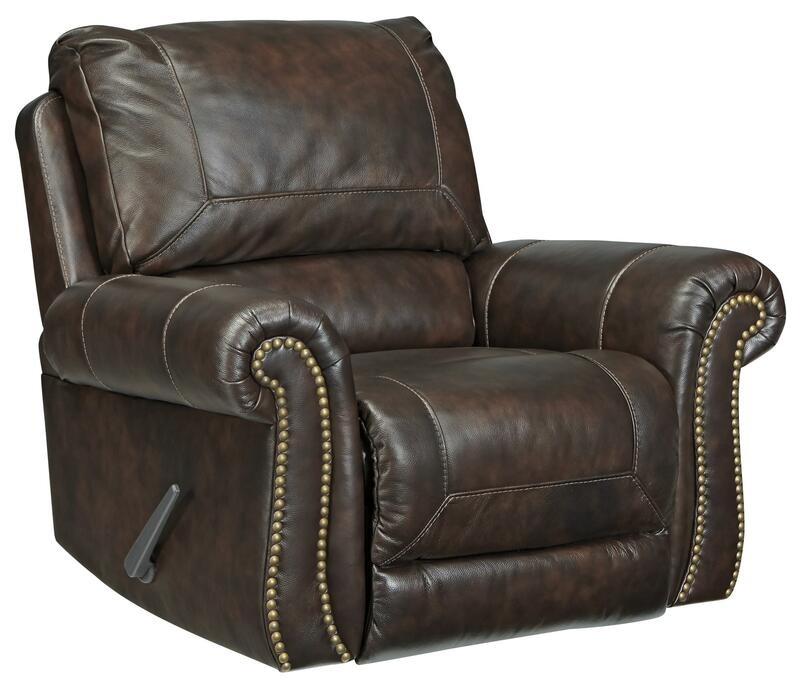 Leather match upholstery provides luxury to this rocker recliner with traditional style. It offers luxury with affordability with its 100% leather in the seating areas and matched vinyl everywhere else. 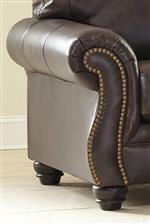 A plush, supportive back and rolled arms with nailhead trim assure impressive style with comfort. 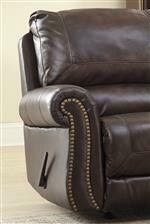 The Bristan Traditional Leather Match Rocker Recliner with Rolled Arms & Nailhead Trim by Signature Design by Ashley at Miskelly Furniture in the Jackson, Pearl, Madison, Ridgeland, Flowood Mississippi area. Product availability may vary. Contact us for the most current availability on this product. The Bristan collection is a great option if you are looking for Traditional furniture in the Jackson, Pearl, Madison, Ridgeland, Flowood Mississippi area. Browse other items in the Bristan collection from Miskelly Furniture in the Jackson, Pearl, Madison, Ridgeland, Flowood Mississippi area.